Gelsenkirchen – Matchday 31's final instalment comes from the Veltins Arena and it promises to be a cracker, as FC Schalke 04 take on Hamburger SV (kick-off 17.30 CET). Along with at least three other teams, both these sides are locked in battle for fourth place and the final coveted UEFA Champions League qualification spot. Just two points separate present incumbents Schalke from Hamburg in eighth and, with just three games left to play after this weekend, victory is imperative for both sides’ long-term ambitions. 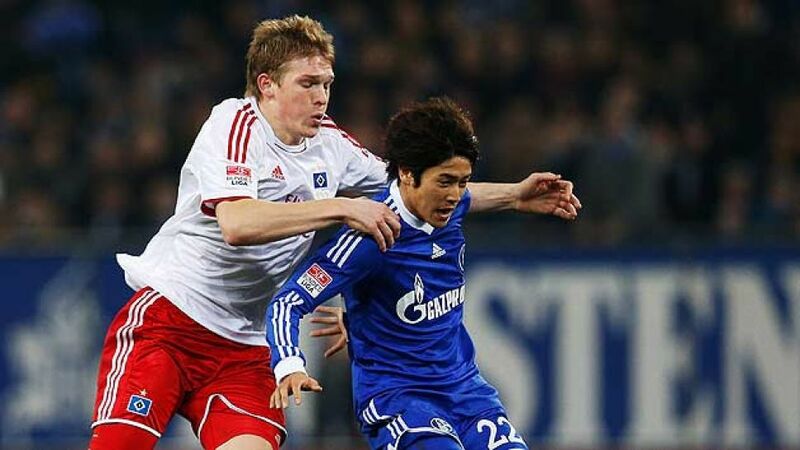 Results may have been patchy for Schalke, last week’s 1-0 defeat to another European rival, Eintracht Frankfurt, included, but head coach Jens Keller took heart from the performance and received an inestimable boost with news of Klaas-Jan Huntelaar's return from injury. Last season's Bundesliga top scorer has been out of action since Matchday 25, a 2-1 derby victory over fierce rivals Borussia Dortmund, also the last time the Dutchman found the target. Huntelaar himself is confident he can play some part this weekend: “It’s great to be able to train with a ball again. I still feel the knee at times, but I think it should be okay for Hamburg." "He has trained this week, been very committed and made a very good impression," said Keller ahead of what he called an "extremely important game. You only need to look at the table to see how important a victory is for us in this home game." Schalke have more recent experience in Europe having reached the Champions League semi-finals two seasons ago, while HSV last played in the Europe's premier club competition in 2006/07 - during van der Vaart’s first spell at the club. The heroics of FC Bayern Munich and Borussia Dortmund in midweek have drawn the world’s attention onto the Bundesliga, and the opportunity to make a similar statement next season is one that neither Hamburg nor Schalke, two of Germany’s great Traditionsvereine, will want to pass up.